I am writing because I have a task to make a Shopping app which should be made in SharePoint Framework and use React as a framework. 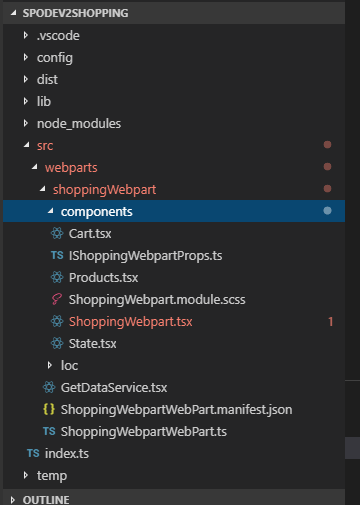 My current problem is that, I have two components, one in a file called ShoppingWebpart.tsx (which should render other components) and an inner component in the file Cart.tsx which I want to render in ShoppingWebpart.tsx. In your code, you are mixing up the Node "require" with a module export and a default export for the class "Cart". Not the answer you're looking for? Browse other questions tagged spfx sharepoint-framework react reactjs or ask your own question.